Toward the end of last summer, we had a fox problem. The fox would sit by our window and steal peeks when we were in, or watch us from the hill as we played outside. We know all too well what a fox says, as the barking would wake us early each morning. Typical skittish fox behavior was thrown to the wind by our forest visitor when we brought home a new puppy (i.e. fox bait). As parents with small children, we were more than concerned about the new danger living near the swing set. We instructed the boys not to go up to the animal (though he had approached us within arm’s reach numerous times), and to run the opposite direction and yell for us if they saw him. Despite growing up in the foothills of Appalachia and living all around Kentucky, I never had so many experiences with a creature I had presumed to be elusive. As our children run to us for protection, so must we go to the Heavenly Father for help. It is important to emphasize here is that sometimes temptation doesn’t appear as big or as threatening as a bear, wolf, or a presumed-ill/desperate fox. In scripture, we first see the tempter in the form of a crafty snake. 1 Peter 5:8 later likens him to a prowling lion seeking to devour. Note the first part of what De Sales says: “As soon as you are conscious of being tempted.” As soon as you are conscious. Consciousness is awareness, alertness, and mindfulness. 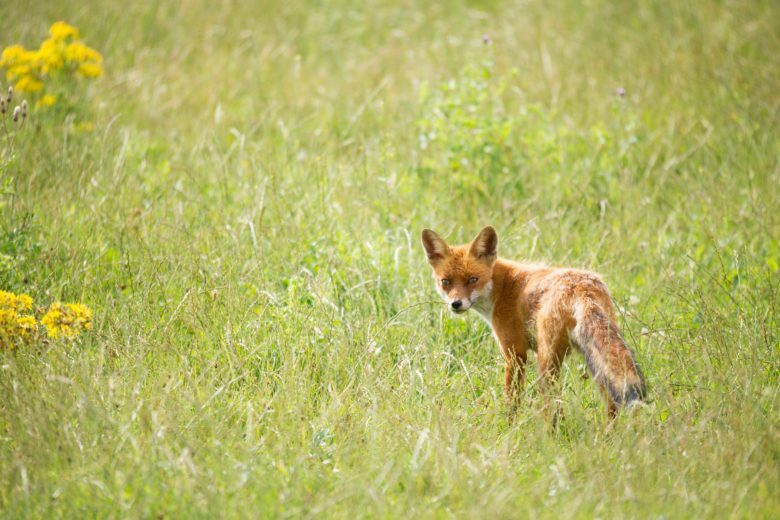 Months after the fox-problem, we learned that one of our elderly neighbors was enjoying feeding a fox family…. Never a good idea with real wild animals or temptation, no matter how seemingly sweet and innocent. Even though our neighbor has promised to stop feeding the foxes, I remain on the lookout for the sly predator. Yesterday, I saw him (or his buddy) again. Hiding God’s Word in our heart opens our eyes to what is of Christ and what is not. Open your eyes. Stay alert. Most importantly, run to the Father and implore His mercy and help. And remember, don’t feed the wildlife. Thank you Neena. I miss seeing you and your parents. We are living in Lincoln County and enjoying watching our grandson Jordan playing for Luncoln County Middle School. Please give your parents my love a d I enjoyed this blog. Robin, thank you for reading. I’ll be sure and tell my parents you said hello. Wish your grandson good luck for us! Play ball!